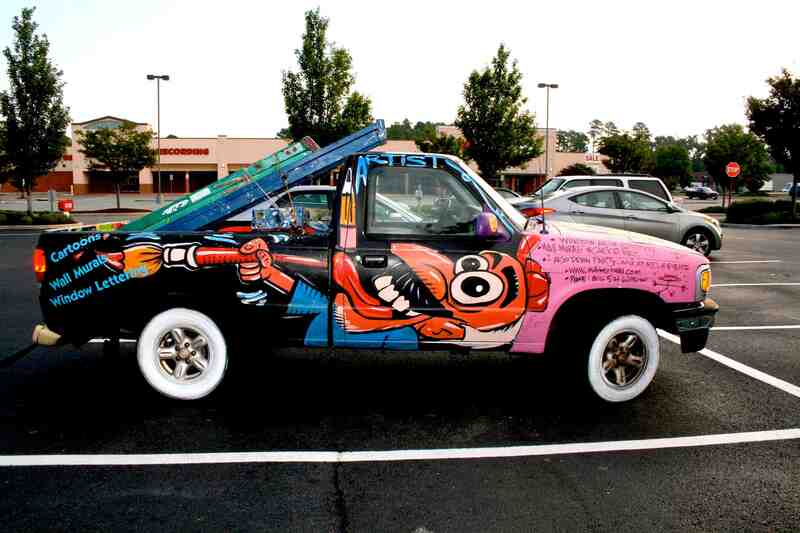 Happy the Artist has some competition in town, at least as far as custom paint jobs on vehicular conveyances. 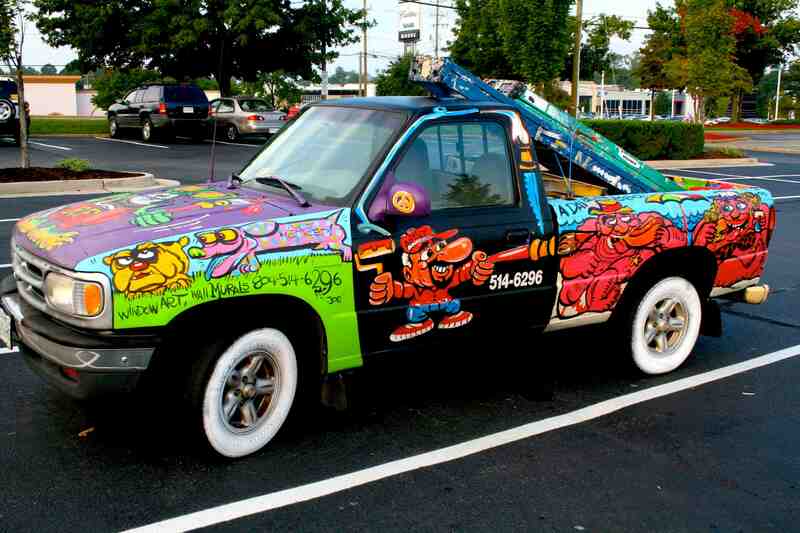 Not so evident from this angle, but on the hood is a reproduction of Ed “Big Daddy” Roth’s iconic Rat Fink. Hopefully the artist provides a credit to Big Daddy. The white wall tires are a special touch.